Anyone who suffers from allergies knows how irritating it can be to suffer through a blocked, itchy nose. It makes it hard to breathe, ruins your sense of taste, and generally leaves you fearful of going outside and falling victim to the lurking pollen. But your allergies don’t need to leave you struggling. Avamys nasal spray is an effective treatment for nasal allergy symptoms — applied once or twice per day to each affected nostril, it will work quickly to reduce inflammation, clearing your airways and soothing your discomfort. 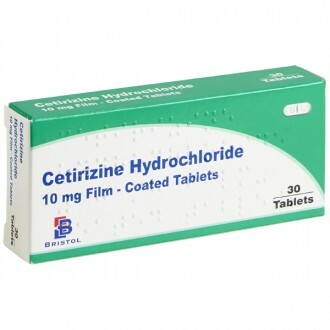 Avamys is a potent treatment option because it contains a corticosteroid, so it requires a prescription. Following a free consultation, our medical can give you a private prescription and our in-house pharmacy fulfil your order online, quickly getting you the relief you need. When you suffer an allergic reaction in your nose (particularly through hay fever), your airways can close up through inflammation and the production of mucus. 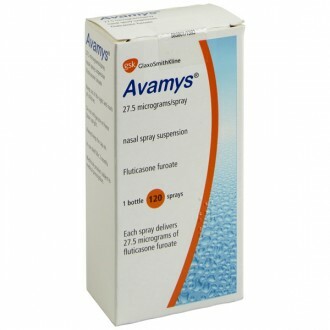 Avamys nasal spray contains the active ingredient of fluticasone furoate, a corticosteroid with powerful anti-inflammatory properties, and will work quickly to bring down the swelling. As the swelling goes down, most of the other allergy symptoms will also be reduced, including itchiness, sneezing, and a running nose. 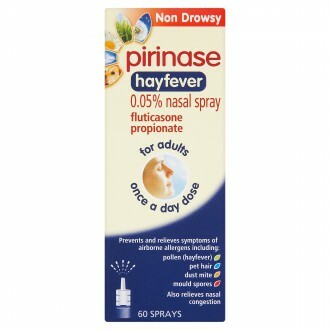 And since it addresses the symptoms, the spray is effective against all nasal allergies at any time of year — quite important because allergic rhinitis (nasal swelling resulting from allergies) affects around 20% of the UK population. Using Avamys is very simple. Start by blowing your nose gently (if comfortable) to remove as much mucus as possible, then shake the bottle well. Tilt your head slightly forward, place the nozzle inside one of your nostrils (aiming it away from the middle of your nose) and squeeze firmly while breathing in through your nose — then repeat the process for your other nostril. If you’ve ever used an inhaler for asthma, the process should be quite familiar to you. Note: if you have difficulty breathing in through the appropriate nostril, you can use a finger to hold the other one closed while you use the spray. The spray should begin to reduce your symptoms within 8 hours, and reach its full effect once you’ve been using it for a few days. The standard dosage for Avamys is two sprays in each nostril once per day, but you can go up to twice per day if absolutely necessary. That’s the limit, though — anything beyond that is potentially dangerous. As for the duration of the treatment, though, there’s no set limit. 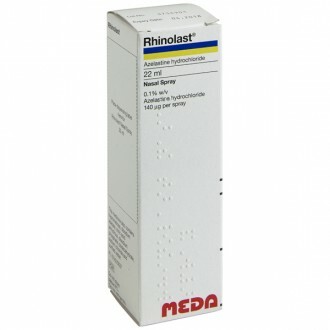 Patients who suffer from chronic allergic rhinitis can use this type of nasal spray every day for years, but it’s definitely recommended that you regularly check in with a doctor if you find yourself needing to use the spray for a very long time. Wear wrap-around sunglasses to keep irritatants from reaching your eyes. Keep windows closed on days with high pollen count. Shower regularly to get rid of pollen grains trapped in your hair and or skin. You can also head to any high-street pharmacy or our Hay Fever section to browse over-the-counter (OTC) products such as tablets, non-steroid nasal sprays or eye drops — if you haven’t tried an OTC treatment, you should do so before seeking a prescription for something like Avamys. 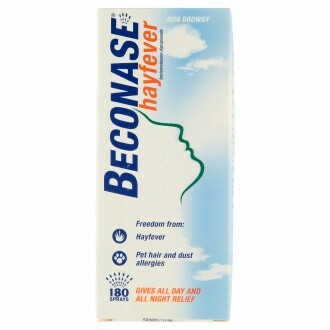 Follow the instructions laid out in the product description, spraying twice into each affected nostril once or twice per day until the issue subsides. You should never use the spray more often than is really necessary — if your allergy symptoms start to go down, you should accordingly use the spray much less frequently. 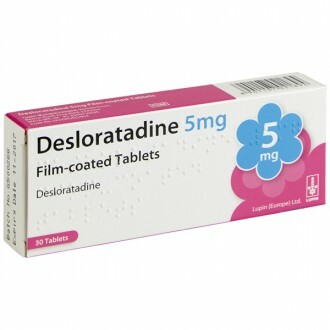 Additionally, if you miss a treatment, you must never double-up on a dose to compensate. Simply resume your usual treatment schedule on the following day if you’re still suffering from allergy symptoms. If these side effects concern you, or you suffer some other adverse reaction to using the product, stop the treatment and discuss the matter with your doctor. Glucose anhydrous, dispersible cellulose, polysorbate 80, benzalkonium chloride, disodium edetate, purified water. Any other medications you are taking. 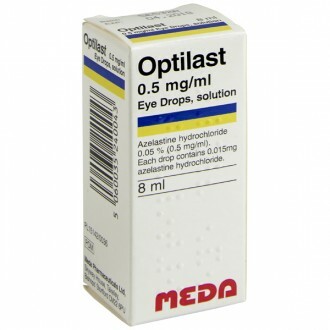 Any cataracts or bouts of glaucoma you have previously suffered. 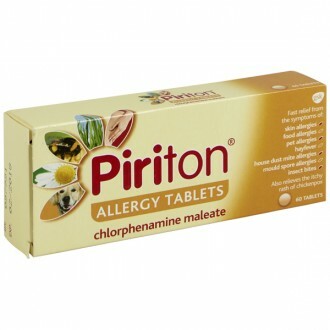 Any protease inhibitor (such as ritonavir). 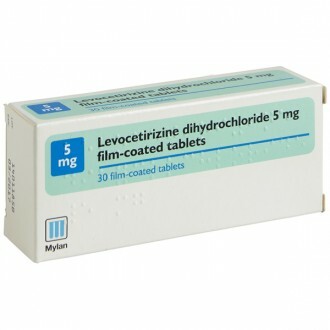 Certain treatments for fungal infections (such as ketoconazole). 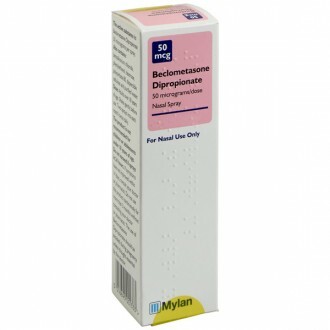 Benzalkonium chloride, one of the inactive ingredients of this nasal spray, may cause irritation of the nasal passages. 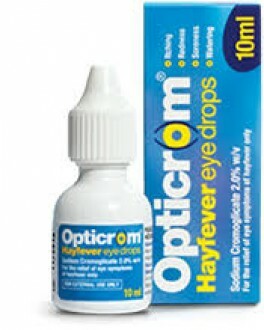 If you notice any change in your vision while using Avamys, inform your doctor immediately. How many packs of Avamys should I order? Because Avamys is a prescription-only rhinitis treatment, we will supply a maximum of 3 nasal sprays (3 months) per order. 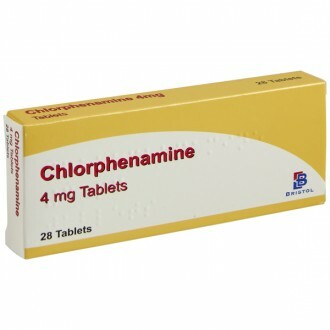 This allows us to maintain a good balance between adequately supplying our patients and protecting them from overuse or stockpiling. This is similar to most GP surgeries. 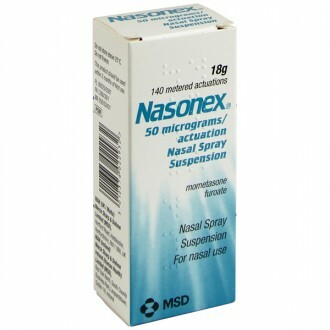 Is it safe to use a nasal spray and oral antihistamines at the same time? Yes, it’s perfectly safe (and very common) to use both types of treatment simultaneously. It isn’t safe to use multiple steroid nasal sprays at the same time, though. The spray contains a steroid — is that dangerous? In this context, no. 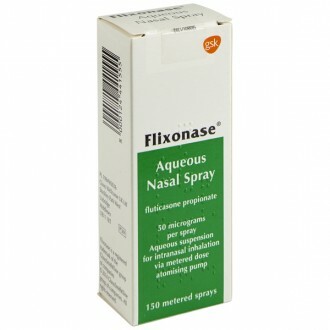 Because the spray is applied directly to the area it is treating (the nasal passages), it requires only a very small dose of the active ingredient, meaning it’s extremely unlikely to cause any serious side effects or reach other areas of the body. Can Avamys cause high blood pressure? In very rare cases, using Avamys can result in elevated blood pressure, though it’s so infrequent that there’s no reason to be concerned. That said, in the unlikely event that you experience symptoms of high blood pressure, such as headaches, nausea, or vision problems, be sure to consult your doctor immediately. Can Avamys be used for post-nasal drip? Post-nasal drip is an accumulation of mucus in the back of the nose and throat, and it’s one of the most common attributes of allergic rhinitis. 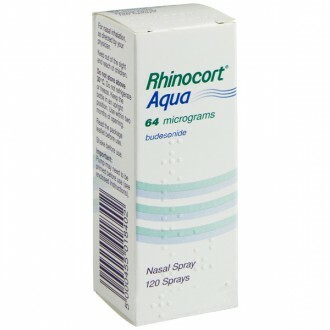 Steroid nasal sprays are often a first-line treatment, being both anti-inflammatory and anti-allergic. What’s the difference between Avamys and Flixonase? 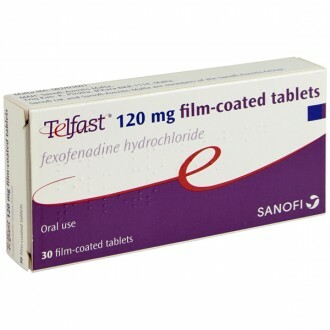 Avamys and Flixonase both contain the same active ingredient: fluticasone. Because of this, they’re very similar, although some reports suggest that Avamys generally works faster. 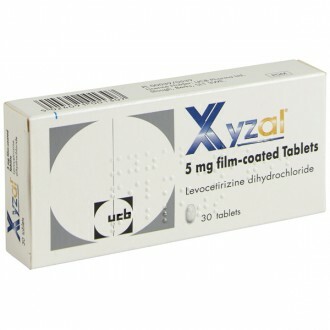 In addition, Avamys contains fluticasone furoate, whereas Flixonase contains fluticasone propionate — because the former has a longer-lasting effect, it can be used effectively with just one daily application. No, unfortunately not. We don’t even fully understand why particular people develop allergies, although it does seem to run in families. 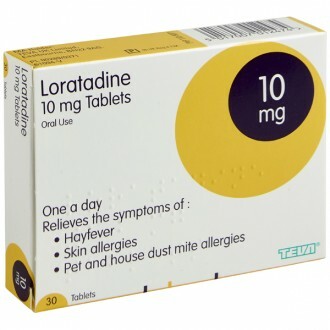 Of course, while allergic rhinitis and sinusitis cannot be cured, the symptoms can be effectively relieved, or even prevented entirely through successfully avoiding pollen, animal fur, and dust mites.